Monitech works with many different suppliers to ensure that you receive a quality monitor, quickly, and for a fantastic price! The Fanuc A02B-0120-C042 is no exception. 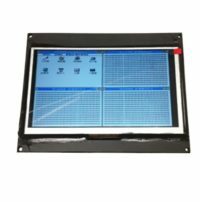 With customers from all over the world looking to upgrade their Fanuc A02B-0120-C042 monitors, we have perfected the design of our LCD monitor to suit your needs, whatever they may be! To request a quote for a Fanuc A02B-0120-C042, please contact us. Monitech works with many different suppliers to ensure that you receive a quality monitor, quickly, and for a fantastic price! The Fanuc A02B-0222-C071 is no exception. 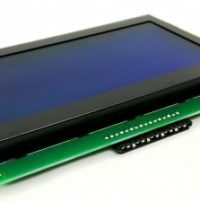 With customers from all over the world looking to upgrade their Fanuc A02B-0222-C071 monitors, we have perfected the design of our LCD monitor to suit your needs, whatever they may be! To request a quote for a Fanuc A02B-0222-C071, please contact us. Here at Monitech, we have a host of Fanuc products . Fanuc A05B-2301-C301 is a new development which replaces the teach pendant display very easily. Take the old broken and hard to read display out, and plug the ribbon connector into our LCD, and you are up and running in minutes! We also carry the 30FT long cable to connect it to your controller.Terms of our warranty. 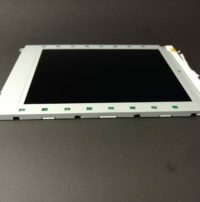 LCD Upgrade Kit for 9-inch Fanuc A61L-0001-0071 CRT. Comes with full cable kit for complete conversion. Monitech works with many different suppliers to ensure that you receive a quality monitor, quickly, and for a fantastic price! The Fanuc A61L-0001-0071 is no exception. 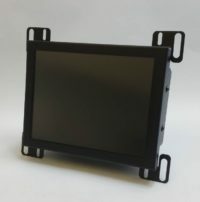 With customers from all over the world looking to upgrade their Fanuc A61L-0001-0071 monitors, we have perfected the design of our LCD monitor to suit your needs, whatever they may be! To purchase a Fanuc A61L-0001-0071, please click ADD TO CART. Monitech works with many different suppliers to ensure that you receive a quality monitor, quickly, and for a fantastic price! The Fanuc A61L-0001-0072 is no exception. 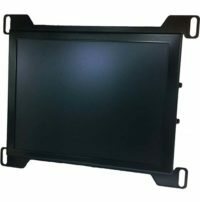 With customers from all over the world looking to upgrade their Fanuc A61L-0001-0072 monitors, we have perfected the design of our LCD monitor to suit your needs, whatever they may be! To request a quote for a Fanuc A61L-0001-0072, please contact us. Monitech works with many different suppliers to ensure that you receive a quality monitor, quickly, and for a fantastic price! The Fanuc A61L-0001-0073 is no exception. With customers from all over the world looking to upgrade their Fanuc A61L-0001-0073 monitors, we have perfected the design of our LCD monitor to suit your needs, whatever they may be! To request a quote for a Fanuc A61L-0001-0073, please contact us. Monitech works with many different suppliers to ensure that you receive a quality monitor, quickly, and for a fantastic price! The Fanuc A61L-0001-0074 is no exception. With customers from all over the world looking to upgrade their Fanuc A61L-0001-0074 monitors, we have perfected the design of our LCD monitor to suit your needs, whatever they may be! To request a quote for a Fanuc A61L-0001-0074, please contact us. Monitech works with many different suppliers to ensure that you receive a quality monitor, quickly, and for a fantastic price! The Fanuc A61L-0001-0076 is no exception. With customers from all over the world looking to upgrade their Fanuc A61L-0001-0076 monitors, we have perfected the design of our LCD monitor to suit your needs, whatever they may be! To request a quote for a Fanuc A61L-0001-0076, please contact us. 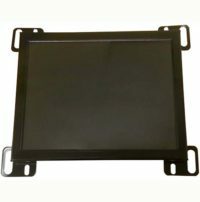 LCD Upgrade Kit for 12-inch Fanuc A61L-0001-0077 CRT. Comes with full cable kit for complete conversion. Monitech works with many different suppliers to ensure that you receive a quality monitor, quickly, and for a fantastic price! The Fanuc A61L-0001-0077 is no exception. With customers from all over the world looking to upgrade their Fanuc A61L-0001-0077 monitors, we have perfected the design of our LCD monitor to suit your needs, whatever they may be! To purchase a Fanuc A61L-0001-0077, please click ADD TO CART. 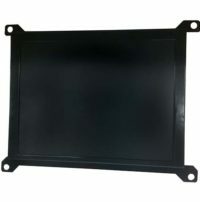 LCD Upgrade Kit for 12-inch Fanuc A61L-0001-0078 CRT. Comes with full cable kit for complete conversion. Monitech works with many different suppliers to ensure that you receive a quality monitor, quickly, and for a fantastic price! The Fanuc A61L-0001-0078 is no exception. 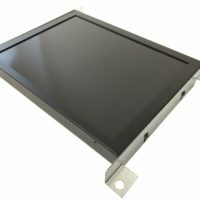 With customers from all over the world looking to upgrade their Fanuc A61L-0001-0078 monitors, we have perfected the design of our LCD monitor to suit your needs, whatever they may be! To purchase a Fanuc A61L-0001-0078, please click ADD TO CART. Monitech works with many different suppliers to ensure that you receive a quality monitor, quickly, and for a fantastic price! The Fanuc A61L-0001-0079 is no exception. 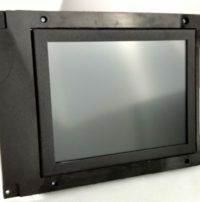 With customers from all over the world looking to upgrade their Fanuc A61L-0001-0079 monitors, we have perfected the design of our LCD monitor to suit your needs, whatever they may be! To request a quote for a Fanuc A61L-0001-0079, please contact us. Monitech works with many different suppliers to ensure that you receive a quality monitor, quickly, and for a fantastic price! The Fanuc A61L-0001-0086 is no exception. With customers from all over the world looking to upgrade their Fanuc A61L-0001-0086 monitors, we have perfected the design of our LCD monitor to suit your needs, whatever they may be! To request a quote for a Fanuc A61L-0001-0086, please contact us. Monitech works with many different suppliers to ensure that you receive a quality monitor, quickly, and for a fantastic price! The Fanuc A61L-0001-0087 is no exception. With customers from all over the world looking to upgrade their Fanuc A61L-0001-0087 monitors, we have perfected the design of our LCD monitor to suit your needs, whatever they may be! To purchase a Fanuc A61L-0001-0087, please click ADD TO CART. Monitech works with many different suppliers to ensure that you receive a quality monitor, quickly, and for a fantastic price! The Fanuc A61L-0001-0090 is no exception. With customers from all over the world looking to upgrade their Fanuc A61L-0001-0090 monitors, we have perfected the design of our LCD monitor to suit your needs, whatever they may be! To request a quote for a Fanuc A61L-0001-0090, please contact us. Monitech works with many different suppliers to ensure that you receive a quality monitor, quickly, and for a fantastic price! The Fanuc A61L-0001-0092 is no exception. With customers from all over the world looking to upgrade their Fanuc A61L-0001-0092 monitors, we have perfected the design of our LCD monitor to suit your needs, whatever they may be! To request a quote for a Fanuc A61L-0001-0092, please contact us. Monitech works with many different suppliers to ensure that you receive a quality monitor, quickly, and for a fantastic price! The Fanuc A61L-0001-0093 is no exception. With customers from all over the world looking to upgrade their Fanuc A61L-0001-0093 monitors, we have perfected the design of our LCD monitor to suit your needs, whatever they may be! To request a quote for a Fanuc A61L-0001-0093, please contact us. Monitech works with many different suppliers to ensure that you receive a quality monitor, quickly, and for a fantastic price! The Fanuc A61L-0001-0094 is no exception. With customers from all over the world looking to upgrade their Fanuc A61L-0001-0094 monitors, we have perfected the design of our LCD monitor to suit your needs, whatever they may be! To request a quote for a Fanuc A61L-0001-0094, please contact us. Monitech works with many different suppliers to ensure that you receive a quality monitor, quickly, and for a fantastic price! The Fanuc A61L-0001-0095 is no exception. With customers from all over the world looking to upgrade their Fanuc A61L-0001-0095 monitors, we have perfected the design of our LCD monitor to suit your needs, whatever they may be! To request a quote for a Fanuc A61L-0001-0095, please contact us. Monitech Fanuc A61L-0001-0097 CRT replacement. Monitech works with many different suppliers to ensure that you receive a quality monitor, quickly, and for a fantastic price! The Fanuc A61L-0001-0116 is no exception. With customers from all over the world looking to upgrade their Fanuc A61L-0001-0116 monitors, we have perfected the design of our LCD monitor to suit your needs, whatever they may be! To request a quote for a Fanuc A61L-0001-0116, please contact us. LCD Upgrade Kit for 14″ Fanuc A61L-0001-0096 CRT includes cable kit and warranty.